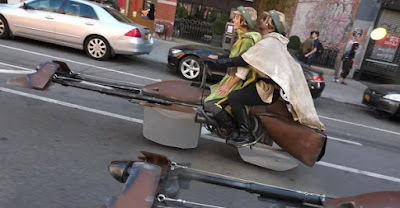 [Source: EW] If you live in New York City, you might’ve already seen one of the best DIY Halloween costumes this year. 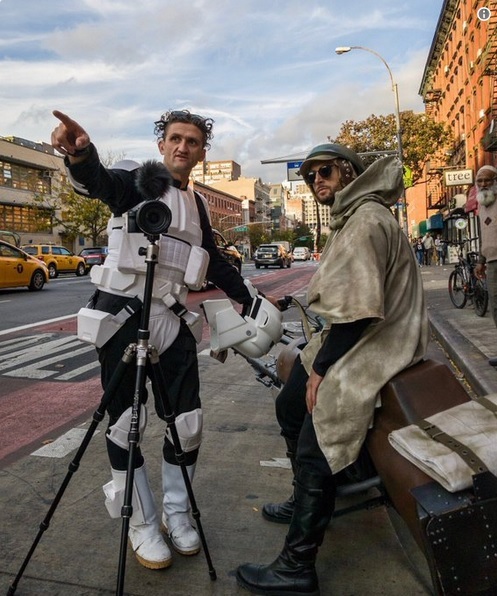 Jesse Wellens and Casey Neistat are the YouTube stunt makers behind that real world magic carpet and Silver Surfer costume. This time, they brought to life Star Wars speeders and pulled off a Stormtrooper chase on the streets of the Big Apple. “Every year, Jesse and I usually do a video where we ride around the city doing something a little bit crazy. One year it was Aladdin, Silver Surfer, one year we snowboarded around the city. And this year, Jesse had a different idea,” Neistat says in a behind-the-scenes video documenting their project. 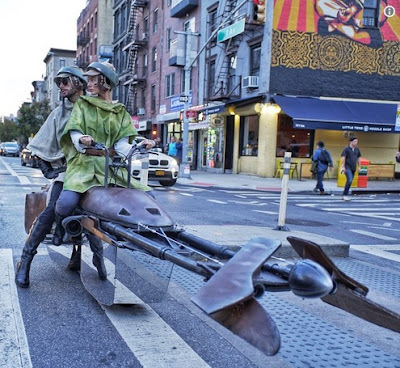 The stunt was filmed over the course of two days in the city, as the YouTuber explains, using decked out Super 73 bikes — the same ones he used for a Burning Man video. The bikes themselves were revamped in about three weeks with fiberglass shells, cardboard, engines, and additional accouterments.